1) Go to YouTube.com where your video is located. You will need your video ID which is located at the end of the URL and is 11 characters. Hover text: I’ve no idea what this does. Leave blank. 3) Take the embed code and put this on your site. This will be your video player. 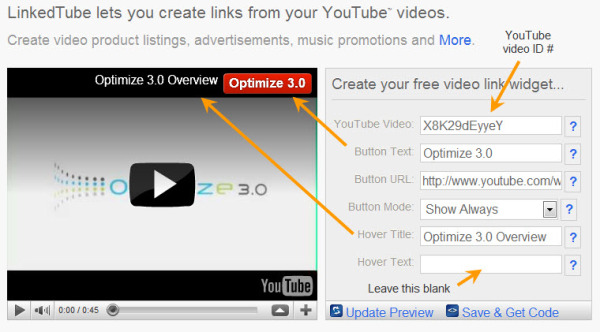 Here’s what it looks like on my site Optimize 3.0. Keep this code handy as we will need it as we build the XML Video sitemap. 4) Build your XML Video Sitemap. Google Webmaster has instructions and examples as well. This is the code structure example right from Google. You can copy this and use as a template. The highlighted portions represent the code we will customize in the next step. b) This is where the LinkedTube player comes in – to get the video content location. Go back to the video embed code you grabbed from LinkedTube. 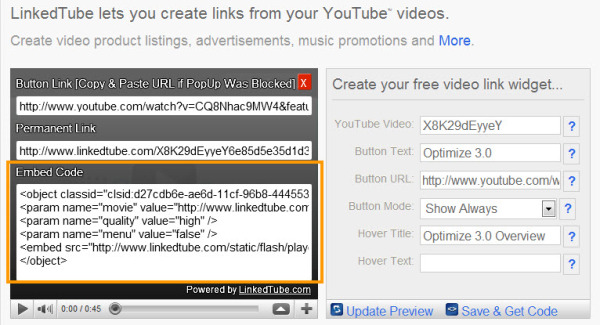 Replace the highlighted portion below with the URL for the LinkedTube player. You know which one it is since it has your YouTube Video ID appended to it. c) Next we need to update the code with the video player location. We will use the LinkedTube video player info again. 5) Remaining video tags. We’ve identified the hard one previously when it comes to embedded YouTube videos. Now we can address the other aspects of the XML Video Sitemap. The required tags are as follows (more fully defined by Google Webmaster). <video:title> The title of the video. Limited to 100 characters. <video:description> The description of the video. Descriptions longer than 2048 characters will be truncated. <video:duration> You can see the duration of your video right on YouTube. The duration of the video in seconds. Value must be between 0 and 28800 (8 hours). Non-digit characters are disallowed. <video:tag> A tag associated with the video. Tags are generally very short descriptions of key concepts associated with a video or piece of content. A single video could have several tags, although it might belong to only one category. For example, a video about grilling food may belong in the Grilling category, but could be tagged "steak", "meat", "summer", and "outdoor". Create a new <video:tag> element for each tag associated with a video. A maximum of 32 tags is permitted. <video:category> The video's category. For example, cooking. The value should be a string no longer than 256 characters. In general, categories are broad groupings of content by subject. Usually a video will belong to a single category. For example, a site about cooking could have categories for Broiling, Baking, and Grilling. <video:family_friendly> I trust it is. 6) Upload the code into your site. This step depends on how your CMS is managed. Once it’s there go to your Google Webmaster Tools account and click on Site Configuration > Sitemaps > Submit a Sitemap. You will be prompted for the URL on your site where the XML Video Sitemap is located. Hit submit and Google will tell you pretty quickly if it was successful. 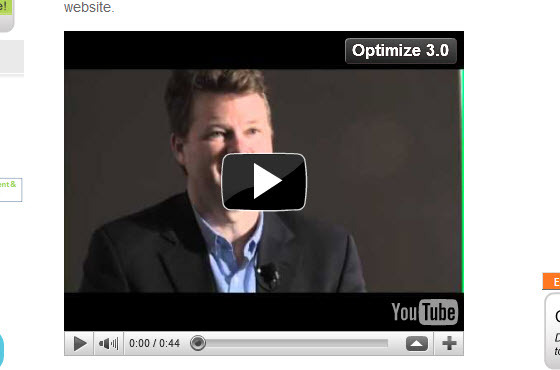 Optimize 3.0's blog is your source for helpful inbound marketing tips and advice. Be sure to subscribe to stay up to date with the latest posts.